Trendmaker Development has announced the grand opening of The Reserve at Clear Lake City, a new home community located in the thriving Clear Lake City area of Houston. As the developer and builder, Trendmaker plans, upon completion, for the new community to include 740 residences in two distinct product lines: traditional single-family homes on 55-, 70- and 80-foot homesites and luxury patio homes on low-maintenance zero-lot line home sites. Ranging in size from 2,433 to 3,168 square feet, phase one of The Reserve’s 39 Villas patio homes by Trendmaker Homes highlight elements of comfort and luxury including lavish patios, state-of-the-art kitchens, and three-car garages. The 11 different floor plan options offer spacious designs both indoors and out, with covered porches, outdoor kitchens and fireplaces for optimal entertaining areas year round. With two to three bedrooms and two and a half to three and a half bathrooms, prices on the patio homes begin in the high $440,000s. The Villas offer a perfect solution for couples or families looking to downsize while maintaining a premium standard of living. The 89 large traditional single-family homes on the 70- and 80-foot lots in phase one are being built by Trendmaker Homes and its builder partner Village Builders. The homes range in size from 3,266 to 5,090 square feet, offering large, open floor plans for families seeking ample living space. With 42 floor plans to choose from, buyers will appreciate the opportunity to customize their homes with various elements, including dining areas with stylized light fixtures, ample storage spaces throughout the home, laundry chutes, backpack racks, double ovens, covered patios, outdoor kitchens and fireplaces, game rooms, and closet organization systems. Plans include four to five bedrooms, three and a half to five and a half bathrooms, and two to three car garages. Prices begin in the $490,000s. Later this year, Trendmaker Homes and builder partner Ryland Homes will also build 37 traditional single-family homes on 55-foot lots in phase one. 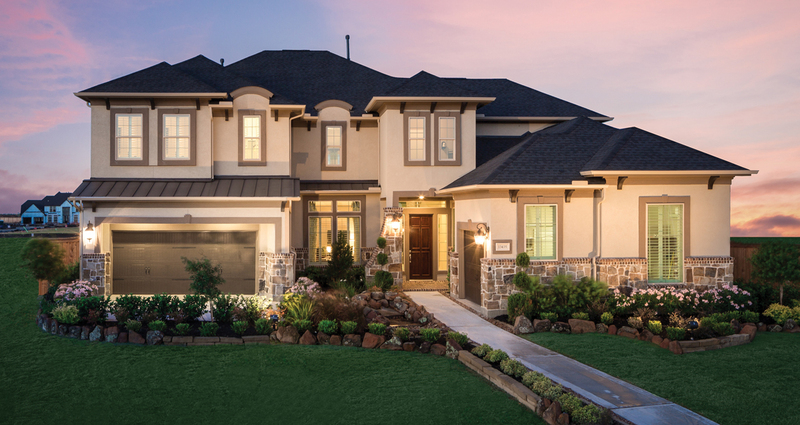 The Reserve at Clear Lake City spans over 372 lush acres of serene open green space. Residents will enjoy full access to all of the amenities offered throughout the master planned community, including a pool, splash park, tennis courts, neighborhood parks and playgrounds, plus the continued establishment of retail shops, including a HEB Grocery Store-anchored retail center near the neighborhood entrance. Situated east of the Gulf Freeway and south of the Sam Houston Parkway (Beltway 8), The Reserve at Clear Lake City provides for quick access to both the coast and Downtown Houston. The close proximity to both the city and the NASA campus provides an allure for commuters, and the nearby retail and entertainment, such as the Baybrook Mall, Johnson Space Center and the Bay Oaks Country Club, offer perks to couples and families alike. The Reserve at Clear Lake City is part of the Clear Creek Independent School District, ranked the best large school district in the Houston Metropolitan Area. Sales at The Reserve at Clear Lake City are currently underway with 70-foot and Villas patio home models by Trendmaker Homes available for touring seven days a week.